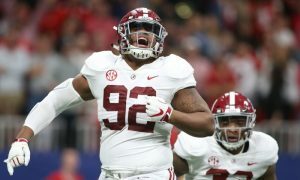 The 2019 Alabama spring game is officially in the books and the fans have finally gotten their first glance at what is to come this fall. There were a number of standout performances but also a few areas that may need some more help. In particular, the teams run game. -Jedrick Wills being sidelined with a sprained ankle is definitely a big loss on the offensive line. But one guy can’t make or break a teams ability to move the football. The entirety of the game was pretty much devout of any big plays between the tackles from both teams. But some of that can be credited to the stout showing from the team’s defensive fronts. 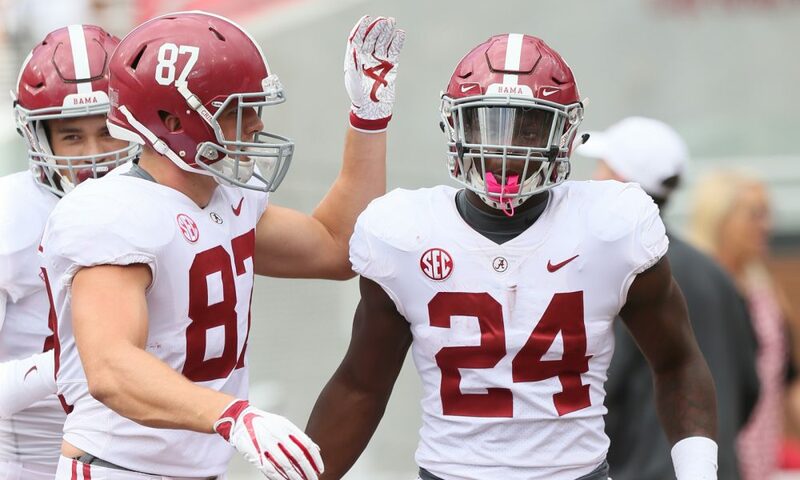 -Linebacker Dylan Moses was filling gaps like no one’s business and is continuing to shape into an elite defensive player. There were also stout performances from Antonio Alfano (two sacks) of the crimson team along with D.J. Dale and Raekwon Davis of the white team. 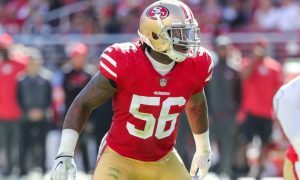 -Outside linebacker Eyabi Anoma showed flashes of dominance throughout. Saban spoke very highly of his progression all spring and believes that new outside linebackers coach Sal Sunseri has done a good job with him. Anoma will definitely have an opportunity to heavily contribute this season. -Coming into A-Day the second string quarterback job was wide open. But after today’s performance, Mac Jones seems to have separated himself from the two freshmen. Jones showed impressive maturity and poise during the game. After a bad snap in his first drive and a bad interception to Shane Lee was making it seem as if the redshirt sophomore was in for a long day. 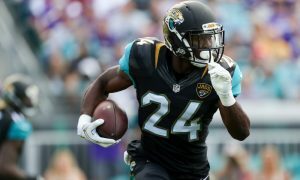 Despite the tough start Jones finished out the first half with 13-15 for 209 yards and two touchdowns. 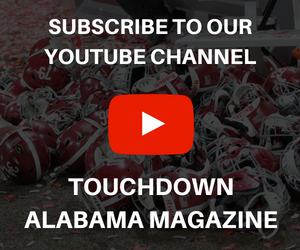 -Tua Tagovailoa and Jerry Jeudy picked up right where they left off from last year. 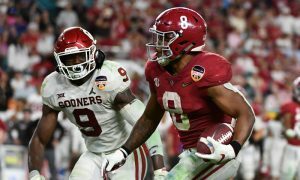 The duo connected multiple times throughout the game and are solidifying themselves as one of the most feared quarterback/wide receiver duos in college football. 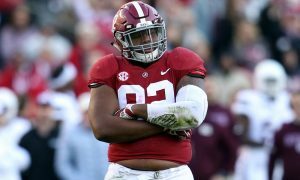 -Younger brother Taulia Tagovailoa showed some promise during the game. He too bounced back from an early interception by throwing a 29-yard touchdown to Jaylen Waddle. -The standout performance of the day came from freshman wide receiver John Metchie of the white team. Jones looked Metchie’s way often and connected with him three times for 101 yards in the first half. Metchie would go on to win MVP of the game, finishing with five catches for 133 yards. 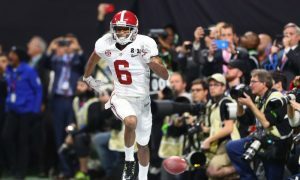 An impressive performance by a player who is being seen as Alabama’s fifth receiver. -Another solid performance came from kicker Will Reichard who was 2 for 3 on field goals in the first half, including a 43-yarder. 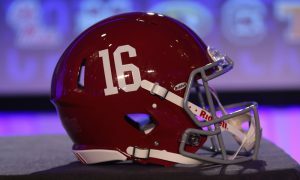 -Despite the number of bright spots, Saban did not seem overly pleased with the overall performance of his team. He has been questioning the depth of the team all spring and urged people not to overreact to some of the games big performances for some game against second-team players.